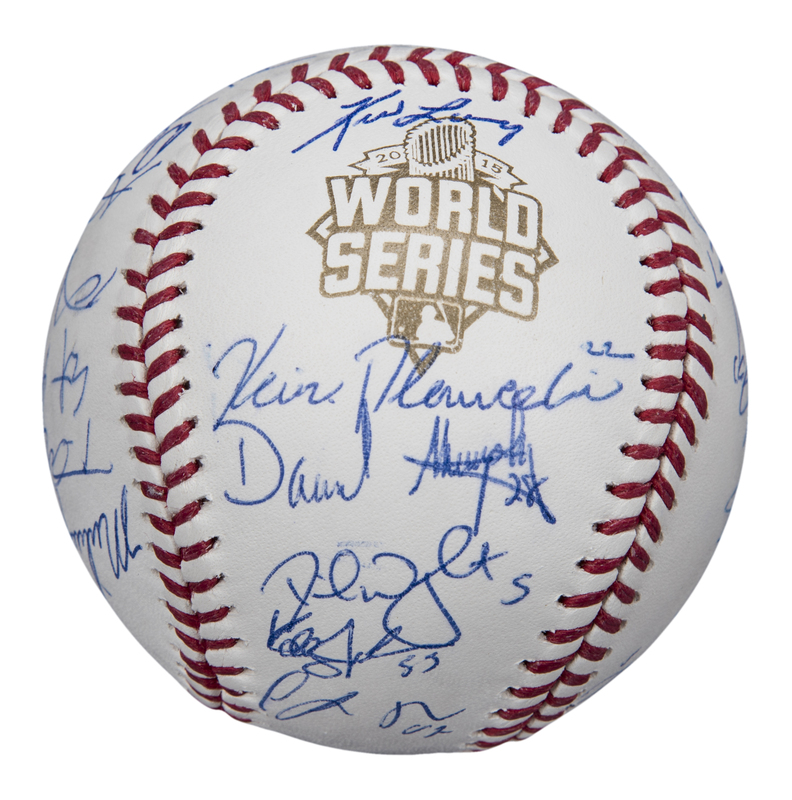 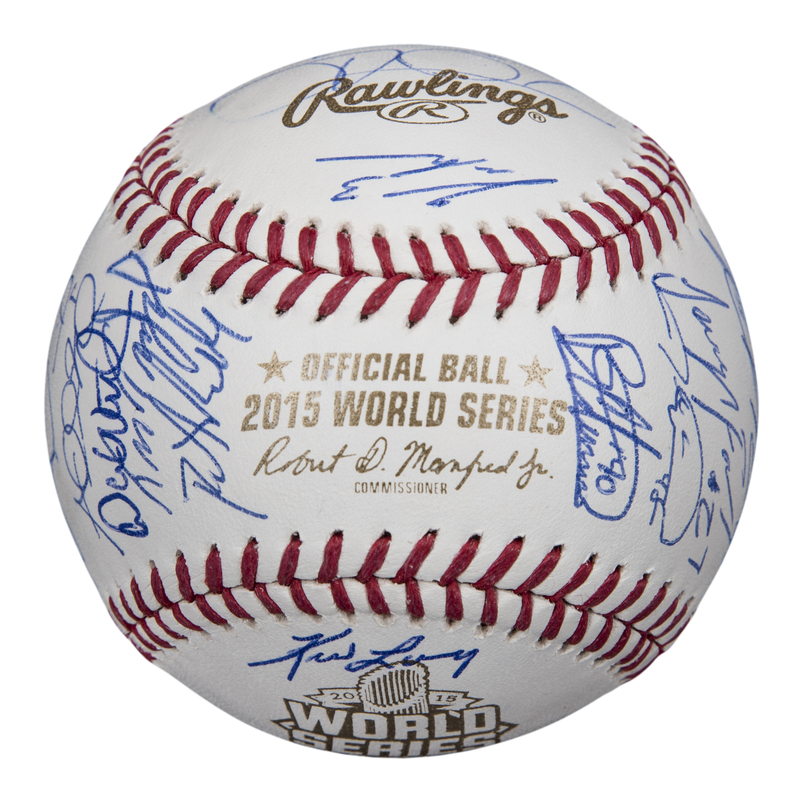 This 2015 World Series Robert D. Manfred Jr. baseball has been signed by 27 members of the 2015 National League champion New York Mets. 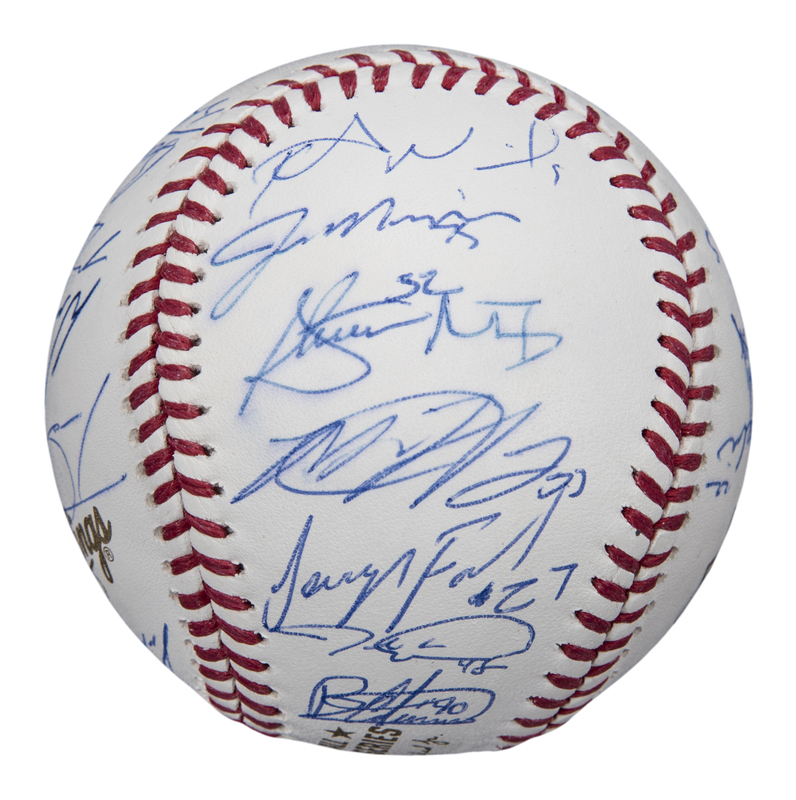 The sweet spot is unsigned, and the signatures on this baseball include David Wright, Jacob deGrom, Matt Harvey, Steven Matz, Daniel Murphy, Curtis Granderson, Michael Conforto, Michael Cuddyer, Bartolo Colon, Jeurys Familia, Kevin Plawecki, Kevin Long, Wilmer Flores, Travis d’Arnaud, Tyler Clippard, Kelly Johnson, Erik Goeddel, Addison Reed, and several others. 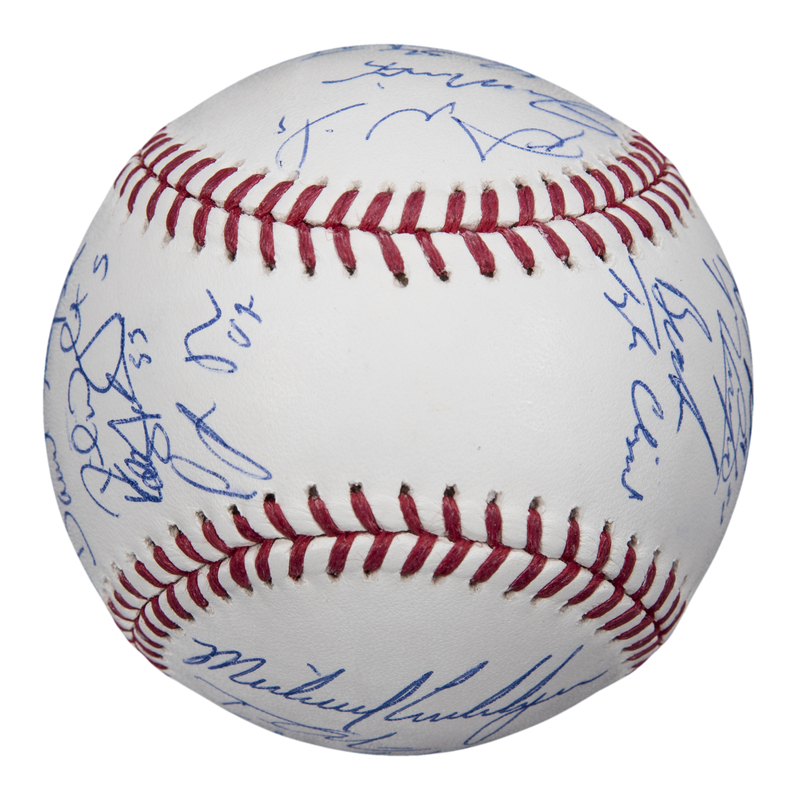 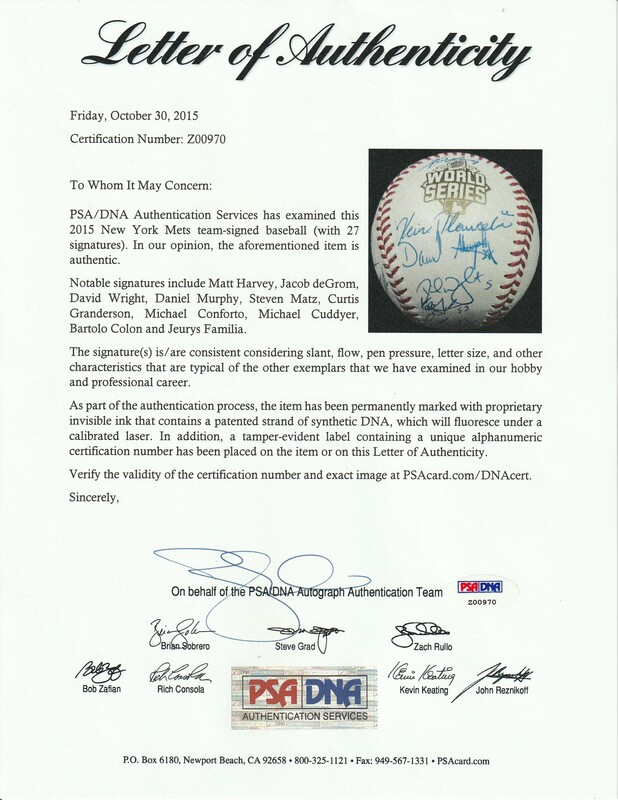 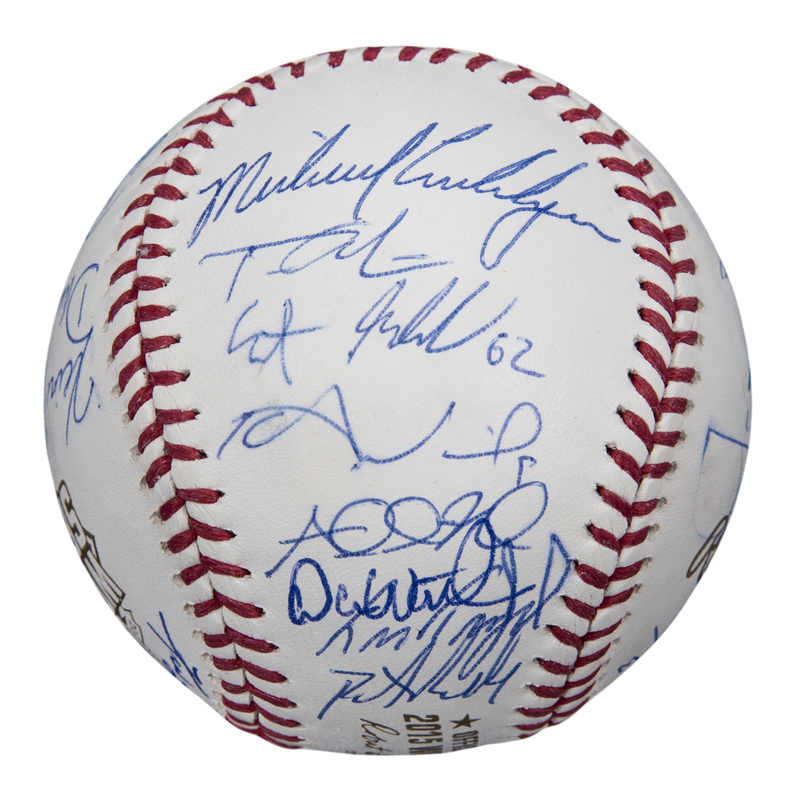 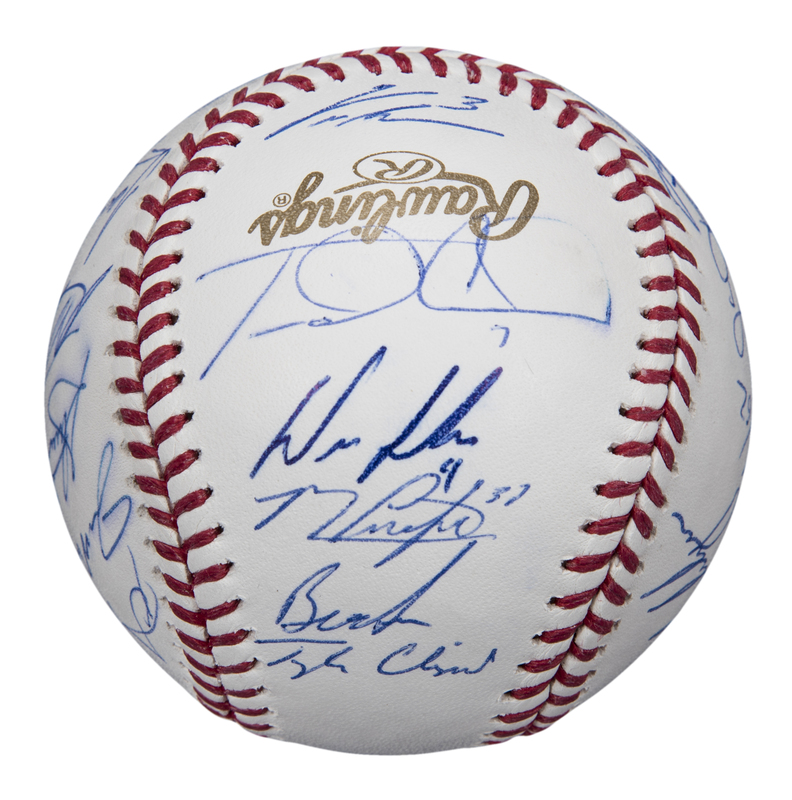 The signatures have been written in blue pen, and this baseball comes with a LOA from PSA/DNA (Z00970).